Let me start by saying that I love mixing and matching and finding patterns in everything. If you’re familiar with my visual or written work, this should come as no surprise. So when I considered adding Bokeh Dots to my collection, I knew it would be a perfect fit with Neat and Tangled’s Perfect Blend, and with Concord and 9th’s Brushed Blossom, and with all of Julie Ebersole’s sets, and with… well, everything! 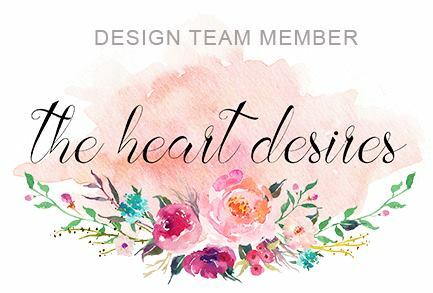 It’s a set with endless applications from backgrounds, to wreaths, to coffee cups and sunshine– whatever circular design your heart desires! It’s always an amazing day where there are cats, coffee and sunshine–even a day with clouds can be turned upside down. I’ve combined three Julie Ebersole sets here: Bokeh Dots, Up the Happy, and Totally Awesome. I’ve stamped all black outlines in Ranger Pigment ink and heat embossed. My sun used Hero Arts Neon Orange ink, and the clouds feature Neon Blue dots. Could that neon pink latte art cat be any cuter? Love how the etching above his head echoes my gold rain (both stamps and the cup from Neat and Tangled’s Perfect Blend set). I used Glossy Accents to adhere my chunky Prima Marketing gold glass glitter. I used this glitter because it reminded me of coffee grounds (not that I want to drink them, necessarily!) and gold because coffee is like liquid gold, don’t you think? And cats are like little angels that walk around with halos (at least that’s what they think!!). The words from Julie’s set Totally Awesome have been stamped in Unicorn White, heat embossed, and then cut and adhered to the panel; two are mounted on foam for dimension. I still love that sequin thread adornment. The main stamped panel was cut from Mama Elephant’s Femme Frames die and propped up with foam. This is my final entry into Pin-Sights Challenge DT call. If you’d like to see my other entries, click here and here! Hope your whole weekend is amazing! LOVE the way you look at and use your stamps then mix it up with texture, colour and of course style! Very chic and modern card! Spectacular mix of texture, images, and color – stunning! I just love how you’ve added that string of gold sequins on the top! This is beyond amazing! Thud.